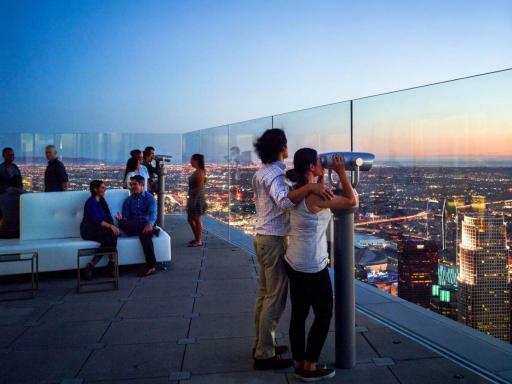 Experience 360-degree views from nearly 1,000 feet above the streets of Los Angeles at OUE Skyspace! 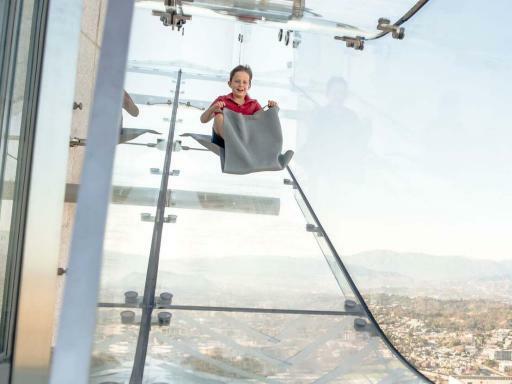 Located in the iconic US Bank Tower, Skyspace is California's must-see attraction and, as well as providing mind-blowing vistas, offers entertainment and excitement for audiences of any age. 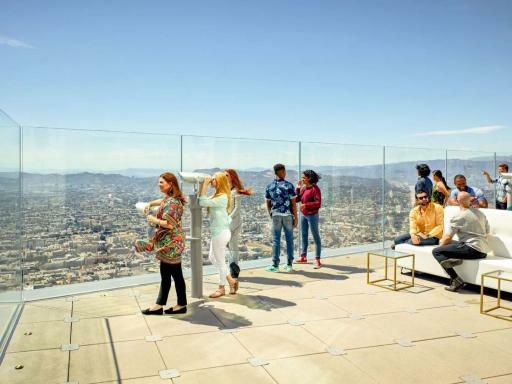 Our guide to OUE Skyspace L.A.
With two open-air observation decks, the vistas are available from both inside and outside the 70th floor Observatory so you can enjoy the SoCal climate from up-high. 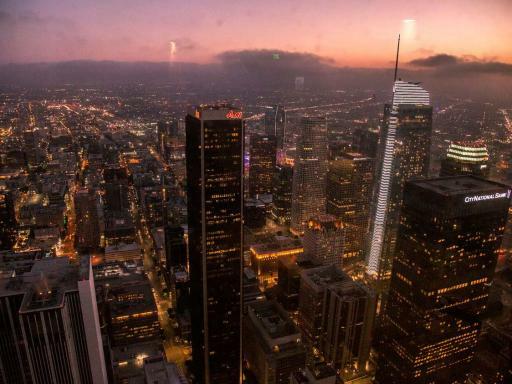 Your OUE Skyspace experience also includes a visit to the Interactive Level where you can lose yourself in the Infinity Mirror, marvel at the Silhouette Wall and learn about the influence that L.A. has had over music, the arts and sport. Thrillseekers take note! 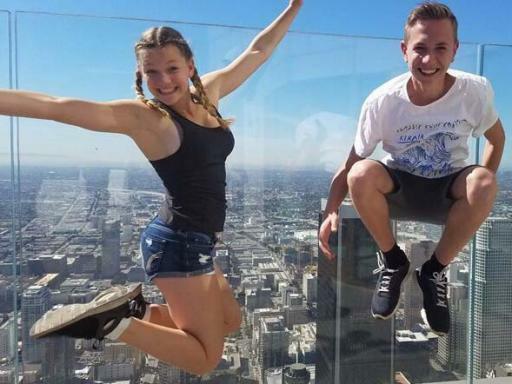 Why not choose the Skyslide Combo ticket which allows to glide down a 45ft glass Skyslide, supsended almost 1,000ft above the streets of L.A.! Departure Location: 633 West Fifth Street, Los Angeles, CA 90071. 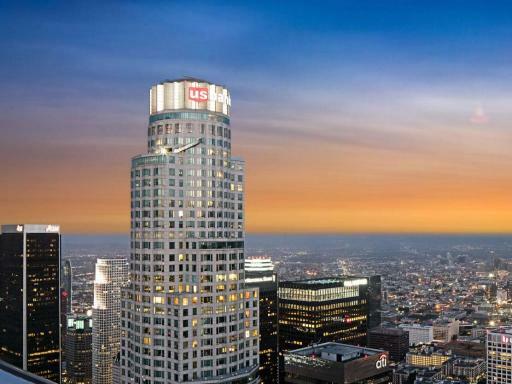 Your admission ticket to the OUE Skyspace Los Angeles gives you access to one of LA’s top attractions. 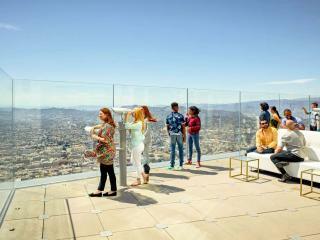 OUE SKyspace is open from 10am to 10pm daily, last admission being 9pm. You will be issued a Skyscpace ticket for you to proceed directly to the entrance queue for scanned entry. During bad/inclement weather, Skyslide may be closed.